If you’re looking forward to a summer spent enjoying the idyllic Jersey Shore and swimming in the Atlantic Ocean, you’re not alone. While the warm weather means fun in the sun with family and friends, but if you suffer from acne, then your attention may also be focused on the reported benefits of ocean water and how it can directly improve your skin. While salt water does indeed contain lots of healing minerals which can provide temporary relief to acne prone skin, there are some important factors you need to be aware of, before you immerse yourself in the beautiful ocean. Turning to a daily swim or salt water products as a long term cure for those unwanted pimples. Bathing in salt water can be traced back to ancient traditions. The Egyptians, Greeks and Romans have all documented the importance that it played in society, with Hippocrates the father of medicine himself recommending thermal waters (Balneotherapy) and sea bathing (Thalassotherapy) to his clients to address their health concerns. Moving forward in time to the late eighteenth century and eminent physicians were actively prescribing Thalassotherapy as it had now become known, to patients who were suffering from a wide range of ailments. Nowadays many well-known spas around the world including Gurney’s Montauk Resort & Seawater Spa in Montauk, New York and the exclusive Les Thermes Marines de Cannes in France, incorporate salt water therapies into their signature cleansing and detoxifying treatments. So popular are the benefits of salt water that individuals from all over the world, including global pop sensation Mariah Carey flock to the Dead Sea in Israel, to help ease skin conditions and joint pains and take advantage of its healing properties, due to the fact that it contains eight times more minerals than other sea water. Unlike other water sources such as lakes, rivers and pure mountain springs, salt water contains numerous nutrients and trace minerals including sulfur, which is renowned for its cleansing properties. It is also very high in electrolytes such as; sodium, magnesium, potassium, calcium, chloride and phosphate. 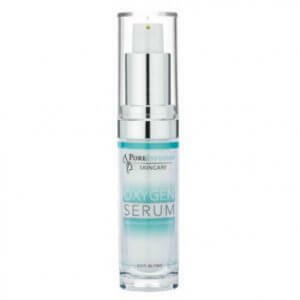 As a result of these powerful ingredients, ocean water has the ability to balance oil production, reduce bacteria on the skin’s surface and deep cleanse pores. Salt water also has the natural ability to reduce moisture. If you combine this with the exposure to the sun’s powerful UVA and UVB rays which also have a bacterial effect on the skin and can mildly disinfect and heal wounds, you can certainly improve your acne on a short term basis. 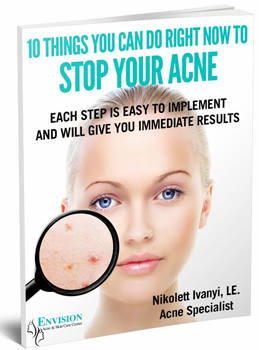 However it’s important to remember that the root cause of your acne is not being addressed and as quickly as your glowing tan fades, so will your acne return. Should salt water be considered as a long solution to help cure acne? While salt water does indeed have many positive benefits on the skin, long term exposure to it as a potential cure for your acne is not the right choice for your skin’s health. While reducing some bacteria on the skin will help to prevent the spread of acne, don’t forget that we all need a certain amount of friendly bacteria to be present for protection. Continual exposure to salt water can also result in dry, extremely sensitive skin. Especially, when you are also being exposed to the sun’s damaging UV rays at the same time. Regardless of using sunscreen as protection, your skin can easily become dehydrated and prone to future breakouts. 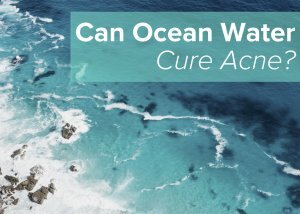 Unlike saline water, ocean water is not sterile, so it has the potential to irritate any open wounds you may have and compromise your immune system. Especially, if you come in contact with other harmful pollutants and toxins, which can also be present in the ocean nowdays. 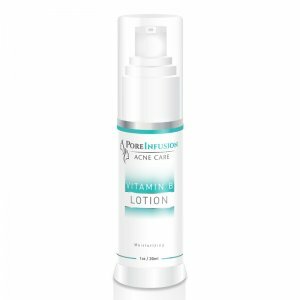 Rather than looking for short term acne fixes, here at Envision Acne and Skin Care Center we always advise our clients that any skincare treatment should start with addressing the root cause of the problem, which we can then work towards resolving. While the ocean water may show signs of improvement initially, as soon as you return back to your post holiday routine, acne flare ups will reappear and you’ll be back to square one. That is why I recommend that you keep up with your customized skincare routine during vacation and make all the necessary precautions to protect your skin from the sun. 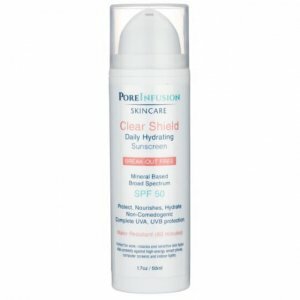 Always use a broad spectrum waterproof sunscreen such as PoreInfusion Clear Shield SPF50 and hydrating gels, which will help improve your hydration while softening your skin. Always talk to your skincare professional before you leave for vacation. 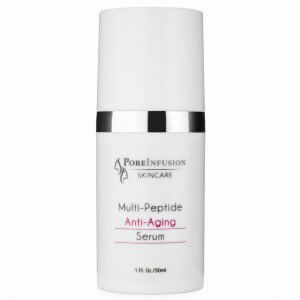 A different climate will require a different routine and different products to keep your skin hydrated and in balance. While the ocean water isn’t a solution to curing your acne on a long term basis, a professional treatment plan and regular appointments with an acne specialist can help to keep your skin looking flawless, pimple free and naturally glowing.